A Simple Infographic about the symptoms related to Traumatic Brain Injury (TBI). 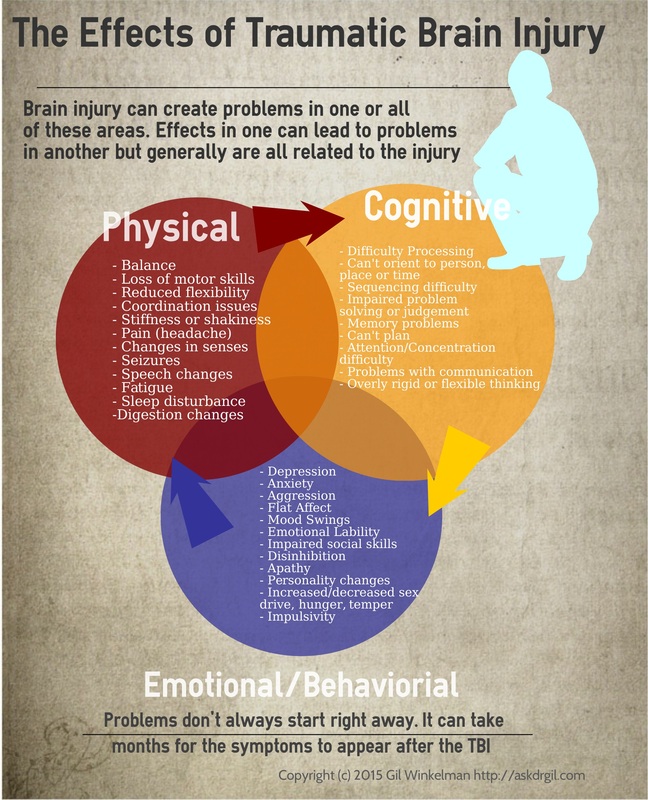 The symptoms can take 18 months to appear after the injury. I see Veterans without Naturopathic Insurance coverage free of charge for neurofeedback.